Here’s a good story from a few years ago. We had just bought a new house…well, not entirely new, but new to us. For whatever reason, the previous owners had the house built with white/cream colored carpets. And they left A LOT of the walls white. I can’t deal with that – I MUST have color!!! 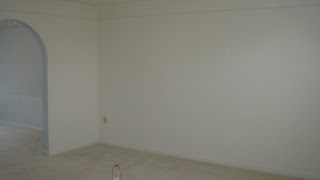 One of the projects that I decided to take on (one of the many projects) was to paint the master bedroom. And I decided that I wanted to paint one wall a dark chocolate brown. So paint day, I get all of my materials together, take them up to the bedroom, and put drop cloths along the edge of the room against the hubby’s wishes – he wanted me to cover ALL of the carpet – but why? I was only painting one wall??? And then I quickly found out why! Yep…knocked over the can of paint – dark brown + clean white carpet = major OOOOPPPPPSSSS!!! If my mom had known years ago, that even after my 9 years of dance lessons, I would still be this clumsy and this big of a klutz, my middle name would have been Grace. J I take it in stride! I mean it takes serious talent to trip UP the stairs. Oh yeah – I can do it! All the time!!! What makes this chocolate so good? Well, they are organic and they have an award-winning chocolate collection that includes 17 bars made from sustainably grown, organic cacao. Not only do they offer chocolate bars, but they have drinking chocolate, baking chocolate, and various gifts for that hard to shop for person on your list. They carry the Fair Trade designation on a number of their products, they have partnered with non-profit greening programs, and have donated many chocolate bars to non-profits and other groups to help make a difference. Here are a few suggestions for you too – they are on my wish list if anyone wants to send any to me! In case you wondered – I was able to get the chocolate brown paint out of the carpet with a whole lot of passes with the carpet steamer.